We have an adopted family in Mexico. They live in a small village about 7 kms outside of Puerto Escondido. We met them in February of 2009 when we were traveling through the area with our motorhome. We made a wrong turn, and it was the best thing we ever did. Eight days later, we were the witnesses at their wedding. Fast forward to April of 2012. A baby boy enters the family. His name is Gael. We visited the family again in January of 2013. But baby Gael was having some medical problems. There were a lot of doctor visits, and eventually we learned that he had a condition similar to hydrocephalus (commonly known as "water on the brain"). He had to be brought 200 kms north to the city of Oaxaca for tests and then an operation was scheduled for July of 2013. All of this costs money, and even though the Mexican social medical system paid for most of it, the family used up all of it's meager savings during the time for transportation and medicine and other related expenses. The operation took place, and thankfully little Gael seems to be fine now! Gael, a couple of weeks ago. But we learned that the family took out a very costly loan to cover some of their expenses. Gael's father is employed full time, six days a week. He earns about 6,000 pesos ($475) per month working at the local dairy. He owes about $1,000 on this loan, but it's at a ridiculous rate of interest and we understand that they've paid off nothing on the principal. Doesn't sound like a lot of money to you and I, but they can't get ahead because of it. We want to pay off the loan for them. I know that Gael's father will want to pay us back, but we don't want to be paid back. Having said that, we figured that maybe some of you would want to help as well. This is a good, hard working family, and they deserve it. Even though our goal has been reached, I've had several people who still want to contribute, so I'll leave the "donate" button there for a while longer and we'll send them some extra money as well! Thanks to everyone who felt this was a worthwhile cause!!! You can donate via paypal. All credit cards accepted, or simply a paypal transfer. We'll leave this up until Monday, and we will personally make up the difference between your donations and the $1,000 they need. No amount is too small. We have a lot of readers and if a lot of people donate $5, $10, or $20 it will add up quickly! Thanks for your help everyone. We'll update you as things go along. I remember the wedding! Great idea! I hope the response is good. It is good people like you that make this world go 'round. You can count me in and I just want to tell you that you two are 'da bomb!!! Thank you so much Monica and Kent! These people are just such wonderful people and have welcomed us into their home and shared part of their life with us. We are so happy to see that Gael is doing so well now and we hope that he will continue this way. Hi Kevin and Ruth: Yes, you certainly may use your popularity for this worthy cause. After hang lived and volunteered in Guatemala, I've become very sensitive to the inherent problems of living in countries that cannot manage the health of their citizens. We hear lots of complaints from citizens of the US and Canada about our healthcare systems; but people just need to look to some of our closest neighbors to know how terribly awful it can be. I don't believe in giving handouts to people who may not be trying to help themselves; but, the issue with poverty, in general, and inability to reach resources is a different issue. I have given money (albeit rarely) to the elderly because I sometimes find their need so great and their resources so small; and, I'm happy to donate to a family, such as this one, where they're doing their best to take care of themselves - but it's very difficult with the low monthly wage. Talk soon - I'm in Fort Stockton, TX on my way to Fort Davis (McDonald Observatory) and will stay in Marfa, TX for a couple of days of fun! Happy Trails! Thank you so much for your help Mary-Pat. The health care system in Mexico is actually very good and Mary and Alfredo were very lucky to have had a doctor that noticed that Gael wasn't well and sent them to a specialist in Oaxaca City to have Gael looked at. The doctor that did the surgery was a specialist in his field and Gael got super treatment. Unfortunately not all the costs were covered and add to that the bus fare for Mary to take Gael to Oaxaca City as well as her living expenses to stay there during his surgery and recovery time, medicines and some of the hospital and doctor fees. This family is definitely close to our hearts and we know them to be hard working people and very caring to those around them. 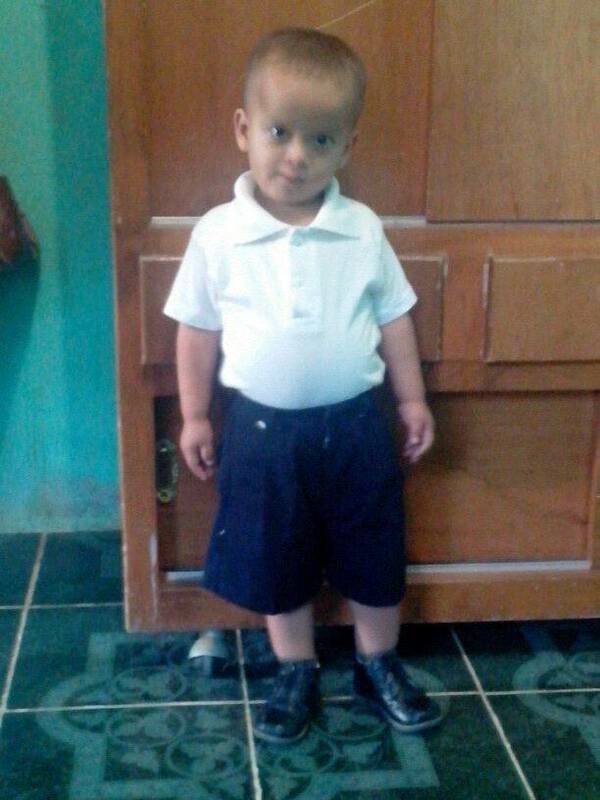 We are so happy to see that Gael has done so well since the surgery and hope that things continue this way. Have fun in Texas and hope that we will get a chance to see each other again sometime over the summer. Safe travels to you! We remember the wedding too , hope all goes well. So do we George, thank you! No, thank you Wendy for helping out complete strangers to you. Hope that we will get to met your granddaughter sometime over the summer, you are both wonderful people. Just explain to them that God has moved us to help Gael, so they may consider this a divine blessing and not to be balked at! Thank you Pete and I think they know that they have been helped them in so many ways. I am sure they will be forever grateful. Done, with our pleasure, and good wishes to Gael and family! Thank you so much, Doug and Nancy. We will keep everyone updated throughout the summer on how they are doing. he had the surgery last December or so and we got to see him in January when we was doing so much better but then he had to go back again after that. We felt so bad for them. we are really hoping that all goes well now. Done. I hope to make friends with good people like this when I get to Mexico. Thank you so much Leah! We hope that you met up with great people like our "second" family too. Thank you Kevin and Kim!